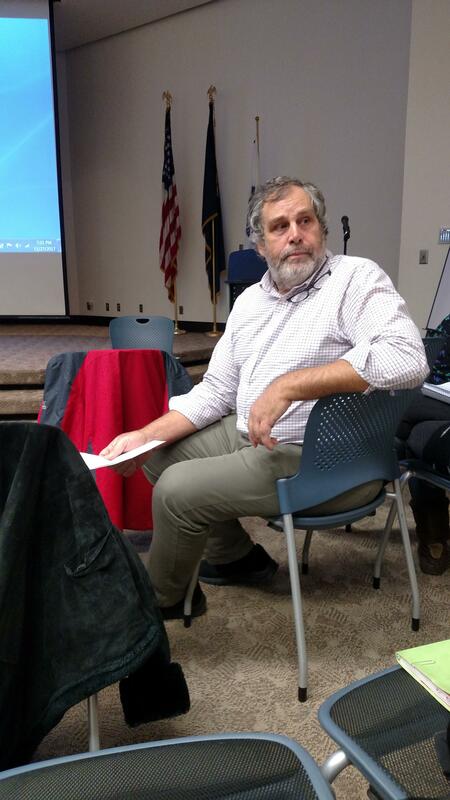 A toxic-chemical expert told a group in Fairbanks Monday that perflourinated compounds that have contaminated groundwater around some Fairbanks and Eielson Air Force Base-area neighborhoods pose a serious, long-term threat to human health. Organizers of the meeting say they hope to convince state and federal regulators to set more stringent standards for the chemical compounds. Alaskans may soon be hearing a lot more about the two chemical compounds that showed up in groundwater tests conducted last year in the community just outside Eielson Air Force Base. 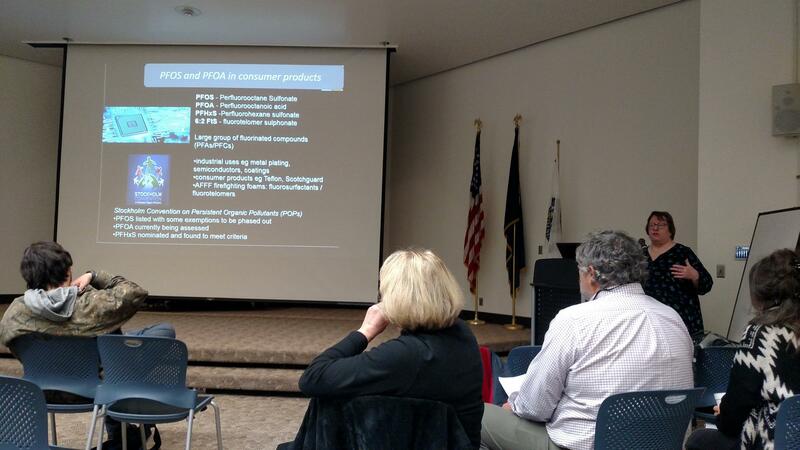 ACAT Executive Director Pam Miller talks about the proliferation of products containing PFOA and PFOS during Monday's WATER meeting at the Noel Wien Library. Miller told about 40 people who turned out Monday night for a meeting at the Noel Wien Library that she expects to hear about more communities around the state discovering the chemical compounds better known by their acronyms PFOA and PFOS in their groundwater. “I think we’re just seeing the tip of the iceberg,” she said in an interview before her talk. 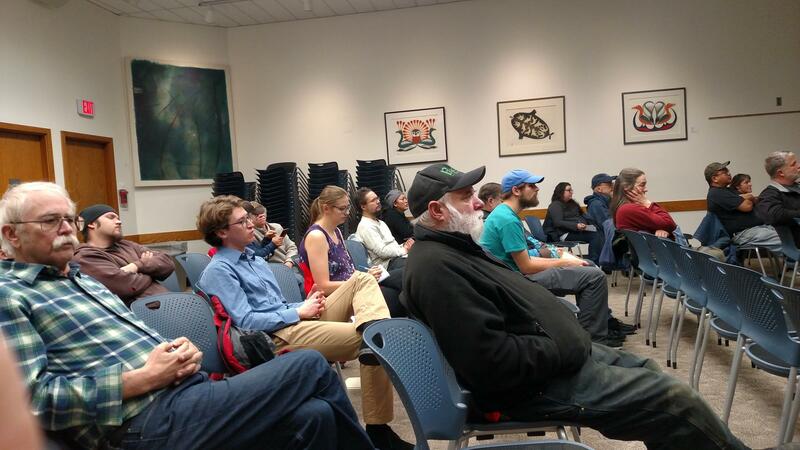 About 40 people were present at the beginning of Monday night's meeting. A WATER spokesperson said by the end of the presentation, a total of 58 people has showed up. Miller says the Defense Department is studying 28 military sites scattered around Alaska for the presence of PFOA and PFOS. 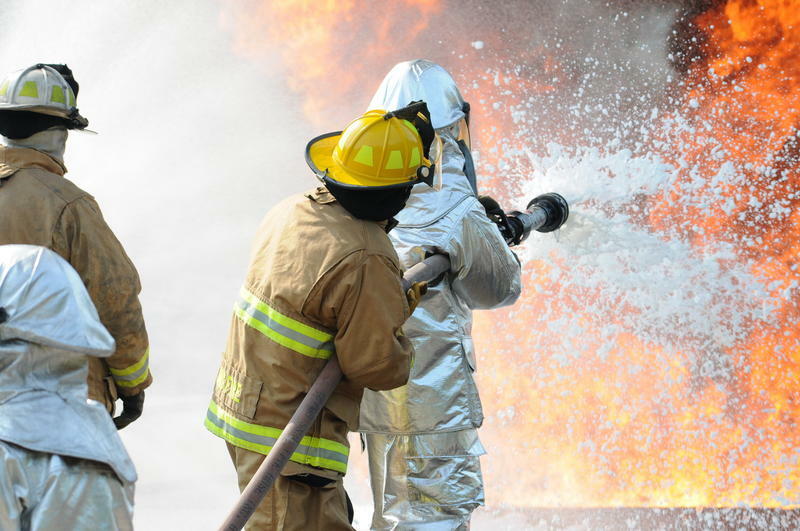 Pentagon officials said in 2014 they’d test for the substances at firefighter-training facilities at Fort Wainwright and Fort Greely, as well as two burn pits at Greely, and an old Navy site near Utqiagvik, formerly known as Barrow. They’re among 664 military sites nationwide that’ll be studied. “It’s estimated in the U.S. that there are more than 6.5 million people now affected by this contamination from firefighting foam – the PFOS and PFOA,” Miller said. She says the substances have been linked to many serious health problems. Chuck and Linda Kirschner listen to a question-and-answer session that followed Miller's talk. Chuck Kirschner says that describes a lot of the health issues that he and his wife, Linda, have been dealing with in recent years. Along with some of his neighbors on the city’s south side, near the Regional Fire Training Center, where the firefighting foam was used from 1984 to 2004. David Berrey lives in the same area, and he says he’s had some health problems, but nothing major – yet. “There’s a lot of other people suffering a lot worse,” he said. David Berrey listens as audience members recount their experiences dealing with PFOS and PFOA groundwater contamination. But Berrey says he worries about his family, especially his daughter who wants to have a baby, since he learned last year that tests on his well showed PFOA and PFOS contamination at concentrations around 350 parts-per-trillion. That’s well above the federal Environmental Protection Agency’s recommended lifetime health advisory level of 70 parts per trillion. “These things are very toxic at very, very, very low levels,” he said, adding that there’s a lot of evidence that the toxicity level ought to be set much lower than 70 parts per trillion. She says that’s only an advisory level, because EPA doesn’t even regulate the substances. She says Alaska ought to follow the example of New Jersey, which just last week set a contamination level of 13 parts per trillion. That’s many times better than Alaska’s contaminant level of 400 parts per trillion. 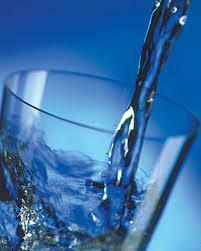 Berrey says the group has set a Facebook page, and has an e-mail address: wakeupalaskawater@gmail.com. And he says members are already are planning to attend a meeting to be held Dec. 18 to provide information about the contamination at Fairbanks International Airport. The Fairbanks City Council approved an ordinance Monday that’s intended to help provide drinking water for property owners in an area on the city’s south side who’ve lost the use of their wells due to groundwater contamination. Mayor Jim Matherly says it’s only the first step toward addressing the mounting costs of the contamination problem. The Fairbanks City Council on Monday voted 6-0 to advance an ordinance that if approved would help city residents and businesses deal with contaminated groundwater on the city’s south side. The North Pole City Council tonight will consider awarding a contract to an engineering company to develop a plan intended to protect the community’s groundwater from contamination. The mayor says the plan is needed to ensure the city will be able to expand its municipal water system to areas where the groundwater already is contaminated. Officials with the Air Force and other agencies are asking members of the public to weigh-in on several proposals to provide drinking water to Moose Creek residents who can’t use their wells because of groundwater contamination. The pollution came from Eielson Air Force Base’s use of firefighting foam in years past. 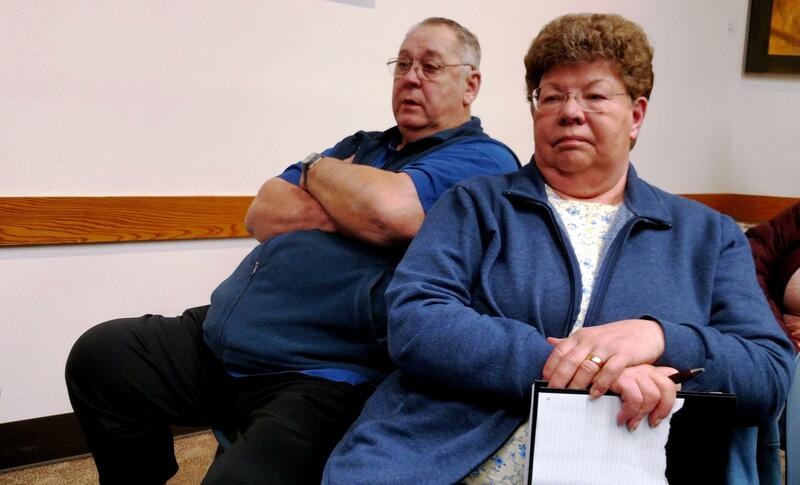 On Monday, North Pole City Council members made it clear they believe expanding their municipal water system to Moose Creek is the best alternative. Most of the wells in the small interior community of Moose Creek are contaminated with a chemical emanating from Eielson Air Force Base. As KUAC’s Dan Bross reports, the pollution stems from firefighting foam used at the base in past decades.